The Age of Enlightenment (or simply the Enlightenment or Age of Reason) was a cultural movement of intellectuals beginning in late 17th- and 18th-century Europe emphasizing reason and individualism rather than tradition. Its purpose was to reform society using reason, to challenge ideas grounded in tradition and faith, and to advance knowledge through the scientific method. 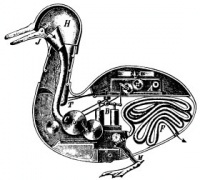 It promoted scientific thought, skepticism, and intellectual interchange. It opposed superstition and intolerance, with the Catholic Church as a favorite target. Some Enlightenment philosophes collaborated with Enlightened despots, who were absolute rulers who tried out some of the new governmental ideas in practice. The ideas of the Enlightenment have had a long-term major impact on the culture, politics, and governments of the Western world. Originating about 1650 to 1700, it was sparked by philosophers Baruch Spinoza (1632–1677), John Locke (1632–1704), Pierre Bayle (1647–1706), Voltaire (1694–1778) and physicist Isaac Newton (1643–1727). Ruling princes often endorsed and fostered these figures and even attempted to apply their ideas of government in what was known as enlightened absolutism. The Scientific Revolution is closely tied to the Enlightenment, as its discoveries overturned many traditional concepts and introduced new perspectives on nature and man's place within it. The Enlightenment flourished until about 1790–1800, after which the emphasis on reason gave way to Romanticism's emphasis on emotion, and a Counter-Enlightenment gained force. The Romantics complained that the Enlightenment had neglected the force of imagination, mystery, sentiment could not handle the emergence of new phenomenon. 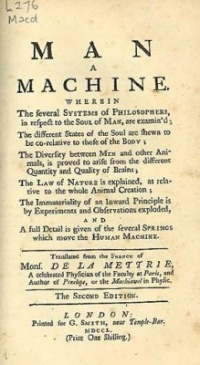 In France, Enlightenment was based in the salons and culminated in the great Encyclopédie (1751–72) edited by Denis Diderot (1713–1784) and (until 1759) Jean le Rond d'Alembert (1717–1783) with contributions by hundreds of leading intellectuals who were called philosophes, notably Voltaire (1694–1778), Rousseau (1712–1778) and Montesquieu (1689–1755). Some 25,000 copies of the 35 volume encyclopedia were sold, half of them outside France. The new intellectual forces spread to urban centres across Europe, notably England, Scotland, the German states, the Netherlands, Poland, Russia, Italy, Austria, and Spain, then jumped the Atlantic into the European colonies, where it influenced Benjamin Franklin and Thomas Jefferson, among many others, and played a major role in the American Revolution. The Enlightenment was followed by Romanticism, which was a reaction against the rationalization of nature by the Enlightenment. 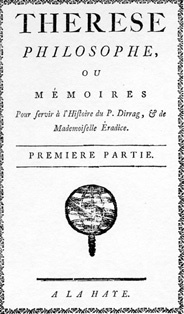 The French Encyclopédie was a quintessential summary of thought and belief of the Enlightenment. It tried to destroy superstitions and provide access to human knowledge. In ancien régime France it caused a storm of controversy, however. This was mostly due to its religious tolerance (though this should not be exaggerated; the article on "Atheism" defended the state's right to persecute and to execute atheists). The encyclopedia praised Protestant thinkers and challenged Catholic dogma. The entire work was banned; but because it had many highly placed supporters, work continued and each volume was delivered clandestinely to subscribers. The Enlightenment: An Interpretation: The Science of Freedom, Peter Gay, 1969. Unless indicated otherwise, the text in this article is either based on Wikipedia article "Age of Enlightenment" or another language Wikipedia page thereof used under the terms of the GNU Free Documentation License; or on original research by Jahsonic and friends. See Art and Popular Culture's copyright notice. This page was last modified 22:14, 5 March 2019. This page has been accessed 42,294 times.